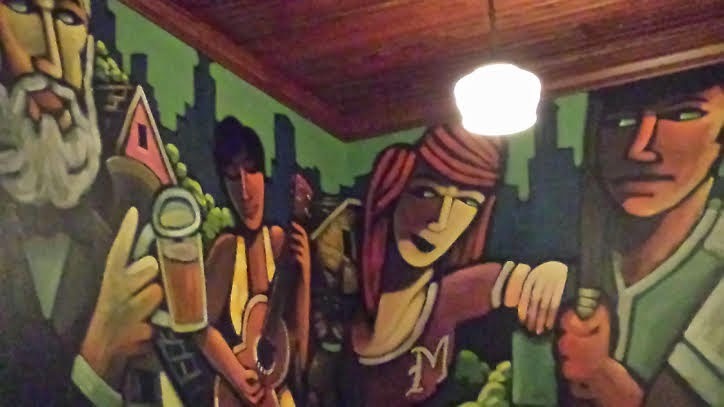 I can not believe I have not written a review on Blue Door Pub yet! 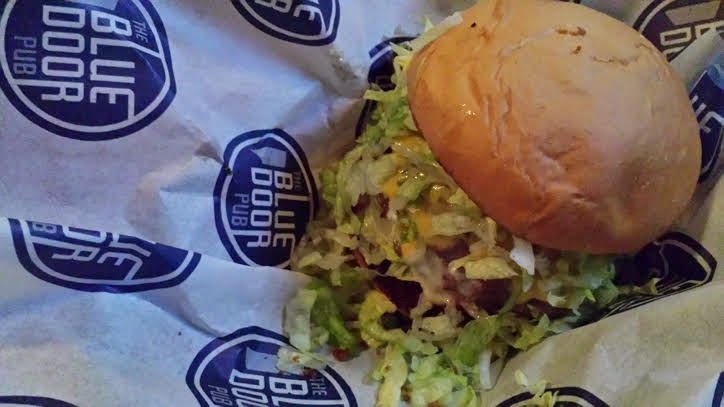 Blue Door Pub is overall our favorite burger restaurant ever, and we are always going there! So you know this review is going to be good. There are 2 locations Longfellow, that is where we go. And a St Paul location. I have mentioned it in a recipie for Spam Bites. Our favorite appetizer we get there every single time we go. There is a jelly for dipping, amazing!!! In Austin, MN we are home to the Spam museum! I have not been yet but I hear they are doing a total makeover on the place, that would make a fun and quirky field trip! 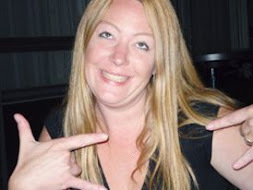 They have wonderful food, never ever have I ordered anything and not liked it, same goes for my man. Blucy of the month, the chief comes up with a new burger that is not on the menu that you can order that month. 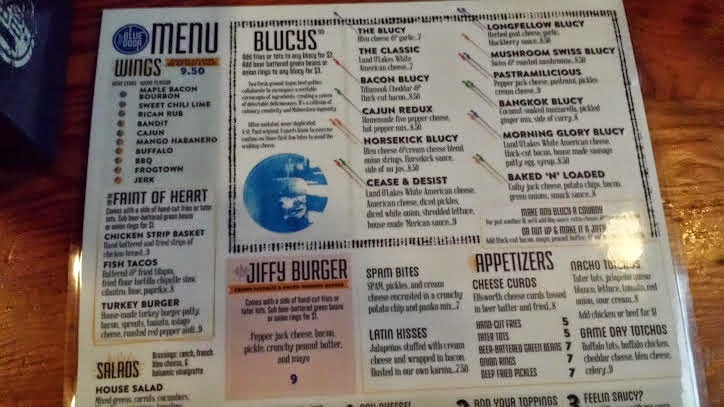 This month the Blucy was a LumberJack burger. 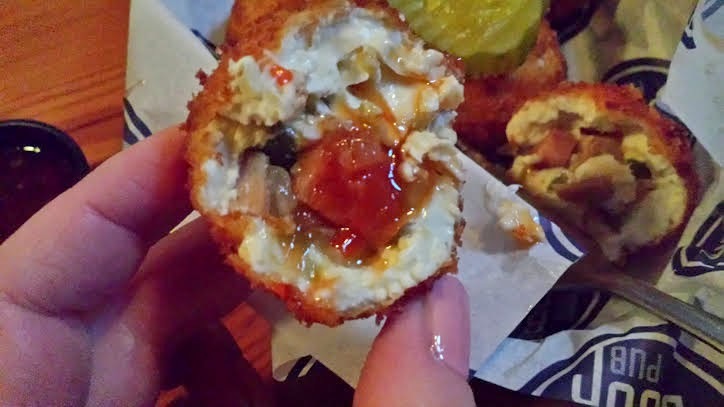 Smoked gouda, cayenne pepper, stuffed with bacon and maple syrup, one of their more popular B.O.M, thats what Marc ordered Friday, with seasoned tater tots with dipping sauce. Yes people tater tots! This is Minnesota, we put those tater tots on our hotdishes don't ya know?! One of my favorite burgers at the Blue Door Pub is the Cease and Desist, you love that name right!? Recently they got a new menu, only a few changes on there, is what a server told us. You can order sides to your burgers such as tater tots or battered green beans. And I know everyone doesn't eat burgers there is more for you to choose from, I hear the wings are awesome. 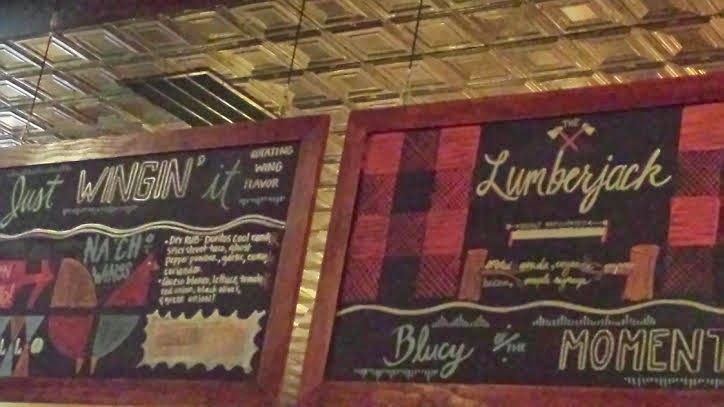 Lots of fun local beers to choose from, I think this is the first place I had a LiftBridge, Lonely Blonde. So good! They have cool swag to people :) We have several of their fun t-shirts. People watching is great here, you can do that while your waiting for your table, just grab a beer and find a corner because it is well worth the wait! I swear you will not be disappointed when you visit Blue Door!! I agree! Haven't been there as often as the two of you, but Blue Door is very good. Not sure if I am brave enough to try the Spam Bites next time. You can do it Chad, I double dog dare ya!